We will ensure that your personal information is treated with the utmost respect and in accordance with EU General Data Protection Regulation (GDPR) on the protection of individuals with regard to processing of personal data and on the free movement of such data. We process personal data only for the purpose for which they are collected. The purpose is dependent on whether you use only our website, or additionally, our services. If you use our services, we will necessarily collect elements of your personal data. We use this personal data for the provision of the service or the performance of the contract. We may use your personal data for other similar purposes, including marketing and communications, but that will only occur in the case we have your consent or another legal justification for doing so. What personal data do we collect and how do we use it? If you visit our website, you do not need to provide us with any personal data. However, your browser transmits some data automatically, such as the date and time of retrieval of one of our web pages, your browser type and settings, your operating system, the last web page you visited, the data transmitted and the access status, and your IP address. Some of this data is recorded on log files held on our secure web server, which is hosted at an enterprise grade facility in the EU. We use a third-party service, Google Analytics, to collect standard internet log information and details of visitor behaviour patterns. We do this to find out things such as the number of visitors to the various parts of the site. This information is only processed in a way which does not identify anyone. We do not make, and do not allow Google to make, any attempt to find out the identities of those visiting our website. If we do want to collect personally identifiable information through our website, we will do so through the Contact Form on the website which is made available for the purposes of contacting us. Personal data gathered from this form will only be used for the purposes of contacting you and answering your questions, unless you have, or later form, a contractual or service relationship with us. Google Analytics data will be retained for 38 months and then automatically deleted. Contact form data on our web server will be deleted every 12 months. Contact form data transferred as a part of offering and managing services will be retained according to our policy below. If you engage with us at an event or exhibition, or respond in any way to an advertised service or offer, we will gather only such data as is sufficient to communicate with you about that service or offer. The record of your engagement with us will be treated in common with our Services policies and processes (see below). If we are seeking to communicate details of other relevant offers and services using data gathered at an event, exhibition, or in response to other marketing communications from 25 May 2018 onwards, then we will seek your explicit opt in to do so. We will not sell to third parties any data gathered from you when responding to your enquiries. If you use our services, we collect only sufficient personal data as required to fulfil the requirements of a contractual or service relationship, which may exist between you and our organisation. Personal data used to fulfil the requirements of a contractual or service relationship will predominantly be managed using our organisation’s business management software, ?????????? ?, and our stock control and finance billing software, MyN, all of which are securely hosted by us in the UK. Personal data in the form of contact details and correspondence will also be securely managed on our email environment which is managed to enterprise grade security levels by our ISP. Telephone calls are managed on our hosted unified communications platform, du Pré Connect, unless received on a company mobile number given to you for the purposes of contacting an employee in the field. We will not record any telephone calls for training or other purposes unless we warn you in advance. We may also use the du Pré Connect platform to invite you to virtual meetings, with audio, video and desktop share options. We will not record any virtual meetings, unless we receive your explicit permission to do so. All personal data relating to any contractual or service relationship will typically be held for at least six years after the financial year in which the relationship commenced. Voicemail data will typically be deleted within three months. du Pré Marine Ltd is the data controller for the information you provide during job application processes, current employment and management of past employment records, unless otherwise stated. Our primary means of handling recruitment processes is our email system, telephone contact and an enterprise grade hosted management system, PeopleHR. Some records may be stored on restricted access areas of the company’s own servers and any paper records will be retained in locked files accessible only to the HR team. The PeopleHR platform is our predominant means of handling current and past employment records and you can read about the measures take to secure your personal data here: https://security.peoplehr.com. Any necessary paper records will be retained in a locked area of the office accessible only to the HR team. Recruitment and employment records are typically kept only for as long as necessary to fulfil our legal obligations, but no longer than six years after last contact. We limit the amount of personal data collected only to what is fit for the purpose, as described above. We restrict, secure and control all of our information assets against unauthorised access, damage, loss or destruction; whether physical or electronic. We retain personal data only for as long as is described above, to respond to your requests, or longer if required by law. If we retain your personal data for historical or statistical purposes, we ensure that the personal data cannot be used further. du Pré Marine Ltd is the UK distributor for Hatteland displays, PC displays, and glass bridges. It is a UK distributor for FLIR thermal imaging cameras and a UK representative of Luminell searchlights, LED floodlights and LED bowlights.  It also offers exclusive distribution of Kahlenberg marine and industrial sound signals through its sister company, Kahlenberg UK. We work directly with manufacturers, integrators, installers, vessel management companies, owners and captains to ensure best selection and usage of products in these ranges. du Pré Marine Ltd, The Old Dairy, Standen Manor, Hungerford RG17 0RB. England, UK. +44 1635 88 88 88. Company registered in England and Wales. Registration number 7815823.